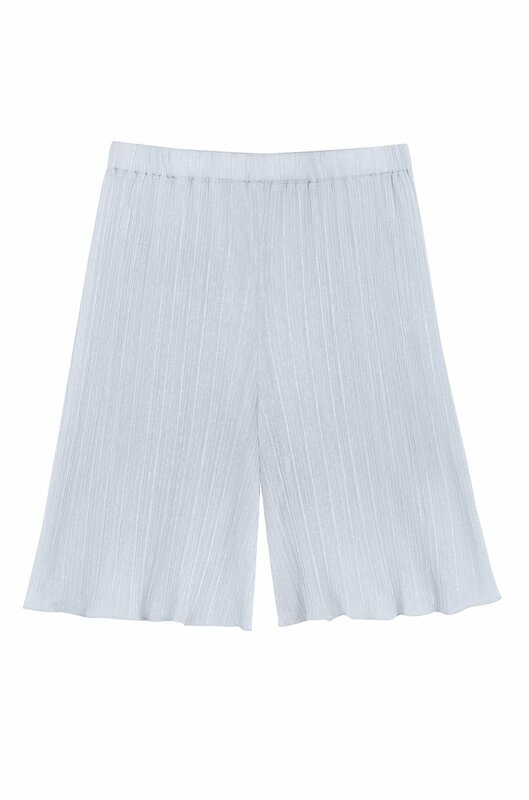 These shorts are cut from sheer pleated silver fabric. 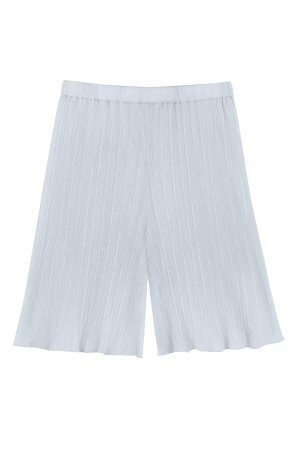 They sit high on the waist and have a loose fit. Wear them with our WHITE SHIRT and SLEEVLESS JACKET.